Here at Keep It Sweet we have a huge selection of different Wedding Sweets to choose from, to suit every budget and to cater for all numbers. Many of our most popular options are love themed, in order to keep in touch with the reason for the big day! One of our favourites is our 380ml Love Jar. This cute, bite-sized plastic jar is packed full of tasty love themed treats that are sure to put a big smile on everyone’s faces. Complete with a red and white label and a bobble topped lid and ribbon these jars look fantastic displayed as a place setting or table decoration, as well as being filled with all the best lovey dovey treats! Or for a more simple look, Our Love Cubes and Pyramids are a brilliant option for a satisfying sugar fix. 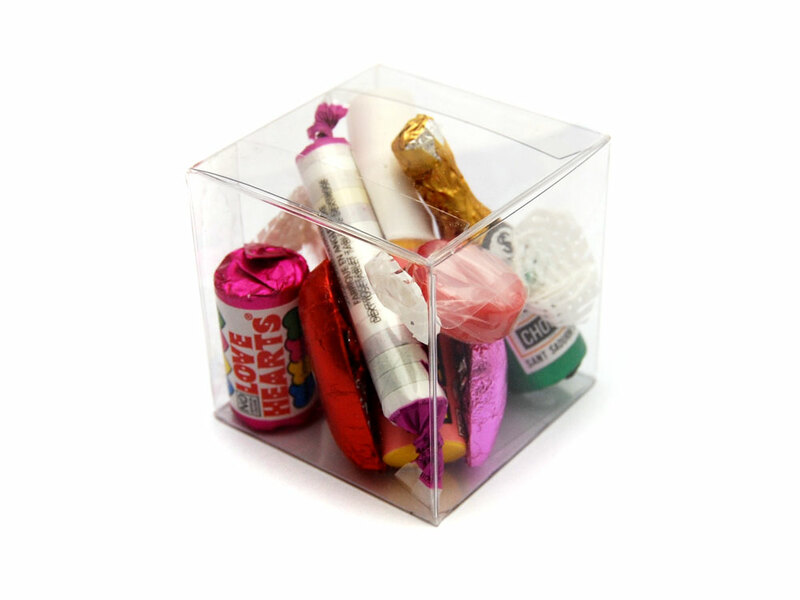 Our Little Love Cube contains everything from tongue-tingling Fizzers to deliciously creamy Chocolate Champagne Bottles that are the perfect memory for guests to take home after a long night of dancing. Why not decorate these yourself and tie them into your colour scheme? A simple ribbon or bow goes a long way and is a super simple way to add brilliant colour coordination to your décor. We also have a fantastic selection of Party Bags to choose from. Packed full of nostalgia, not only are party bags filled with Wedding Sweets or retro sweets of your choice, but they are sure to bring back plenty of nostalgic memories to put a smile on people’s faces. Our Retro Party Bags is one of our most popular options - filled with all the best old school sweets straight from the 70s or 80s and with bags available in a huge range of different colours, you really can’t go wrong. Send your guests home with a bag of mouth-watering Fizz Wiz, delicious Fruit Salads and love ‘em or hate ‘em Parma Violets for a unique way to create lasting memories for years to come. We’ve also got a fantastic range of other themed bags to suit your big day - re-live the 80s with our Groovy themed bag, soothe a sweet tooth with our Chocolate bag or keep the kids happy with our Children’s bag. Or why not create your very own Party Bags and choose your very own special Wedding Sweets? Simply get in contact today on 01202 486256 or email us to info@keepitsweet.co.uk and a member of our friendly team will be more than happy to help you add the perfect sweet touch to your wedding. Here at Keep It Sweet we have hundreds of different retro and traditional sweets to choose from, so there’s something for everyone to enjoy. Not only will choosing Wedding Sweets satisfy a sweet tooth, but by incorporating your favourite sweet treats it is a sure way to create lasting memories that will be looked back upon fondly for years to come. One of our most quirky and fun wedding favours are Fish and Chip Cones. Chocolate Fish and Chips are a tasty twist on the iconic British meal and are the perfect way to bring the seaside to your wedding, whether its near the beach or not! Complete with a fantastically retro paper cone and a sealed bag, this is the only meal you need at your wedding in our opinion! Another way to incorporate sweets into your wedding is with a Retro Sweet Bar. 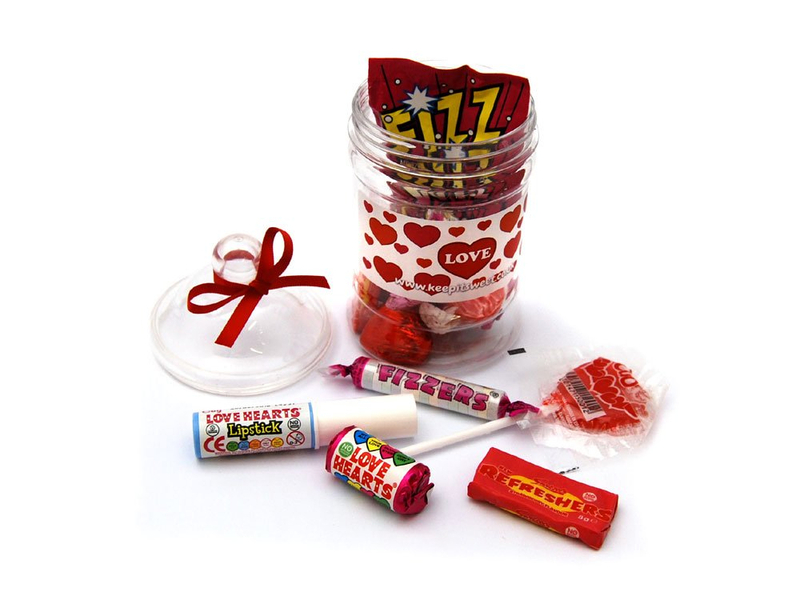 Available in a variety of sizes to cater for every wedding size and budget, these glass jars filled with a selection of popular retro sweets makes a beautiful centre piece or a delicious after-dinner treat for guests to dig into on the dance floor! Complete with tongs and striped sweet bags, a sweet bar will create the feel of a traditional sweet shop to bring a sense of nostalgia to your guests on the big day. Spread amongst confetti or photos of the happy couple, Wedding Sweet Jars are a beautiful touch to any wedding, no matter how large or small and is also a great way to get guests talking and reminiscing about good days gone by! We also have some fantastic personalised options to save you any hassle. Personalised Fruit Rock is a brilliantly bright and colourful option for any occasion. Individually wrapped and complete with your name or message on, a handful of these delicious fruity delights is the perfect wedding favour. Customise with the name of the Bride and Groom, the date of the big day or a message to your guests on and you’re onto a winner. Why not display these in one of our beautiful glass sweet jars or simply spread out across the tables to add a pop of colour? View our full selection of Wedding Sweets here.